We needed to adopt a solution very quickly and we felt like ReconArt’s team was going to be able to implement the product in the short time frame that we were looking at – and they did! 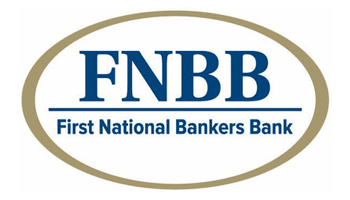 First National Bankers Bank (FNBB), headquartered in Baton Rouge, Louisiana, was chartered as the first national Bankers Bank in the United States in 1984. It is, in essence, a bank set up by, and for the purpose of providing services to, community banks. FNBB commenced operations with 28 shareholder institutions of its bank-owned cooperative to provide correspondent banking services to its members. This prepared the way for the phenomenal growth that FNBB would experience over the next two decades. Today, with assets of approximately $1 billion, FNBB delivers banking services to over 700 community banks throughout the Southeast of the country. Prior to implementing ReconArt™ the bank used an internally IT-developed program, used only for the transaction matching and account reconciliation of its own account with the central bank (Federal Reserve Bank, or “Fed”). At that time, there were three stand-alone bankers banks under one holding company, FNBB Inc. (Louisiana Bankers Bank, Mississippi Bankers Bank, and Alabama Bankers Bank) each requiring separate Microsoft Access-based databases. All other reconciliation processes were done manually in Excel spreadsheets, with a heavy reliance on IT personnel when a mismatched item occurred. Once FNBB decided to consolidate the three banks into one growing and merged Bankers Bank, the need for a more automated and scalable solution became apparent. A more sophisticated solution was required which would allow for the straightforward management of increased volumes combined with greatly reduced reliance on IT resources. Would provide a user-friendly interface that the Bank’s Operations team could manage without IT staff involvement. Could be hosted externally in the Cloud and delivered as a Software-as-a-Service. Could be implemented rapidly to handle a higher volume of data coming from the merging process. Would deliver operational efficiencies and allow more reconciliation activities to become automated without increasing headcount. The bank conducted a proof-of-concept (POC) demonstration with its own data to validate that ReconArt™ could meet these needs. With these criteria fully evaluated and met, FNBB selected ReconArt as its partner of choice. The bank opted for the ReconArt.net™ software-as-a-service. The reconciliation software solution was fully live within six weeks of project start. It was very easy for users to adapt to ReconArt™. They quickly discovered a solution that was very easy to operate and user-friendly. ReconArt™ was deployed initially for the FNBB’s daily Fed reconciliation, a crucial control for all banks. Subsequently, FNBB’s primary correspondent bank account reconciliation has been added. As part of the daily matching of data, ReconArt™ also pulls data from FNBB’s core banking system – Fidelity Information Systems (FIS) Bankway. Automation of key reconciliations in Finance Division, which were previously Excel based. Time savings in several different areas – minimized IT support, 75-80% time saved in Fed reconciliations, speed up audit at month and year-end. Elimination of manual and semi-manual spreadsheet-based processes. Immediate identification of exceptions and their related risk. Board reporting of key metrics at month end to maximize efficiency, all achieved now at a press of a button. Furthermore FNBB today enjoys a platform upon which to bring additional reconciliations rapidly and easily at any time. ReconArt™ allows for immediate access to all reconciliation information including source files, matching data, exception resolution, reconciliation statement production and sign-off, and management reports – all stored in one centralized, online, web-based environment. After we saw ReconArt’s proof-of-concept demonstration we thought it was a great system; we were impressed with what we saw. We needed to adopt a solution very quickly and we felt like ReconArt’s team was going to be able to implement the product in the short time frame that we were looking at – and they did! We appreciate the fact that ReconArt™ is always kept up to date, and that customer-led enhancements are included in the system regularly. ReconArt™ is processing all transactions that we are performing in a timely fashion – if anything, it is only getting quicker as we continue to grow. Brandy Wheeler, Vice President, Operations Manager, First National Bankers Bank.